SCHOOL BUS FLEET has been the voice of the school transportation industry since 1956. Each issue provides essential information on the management and maintenance of school bus fleets operated by public school districts, private schools, Head Start agencies, childcare centers and contract companies. Do you work in a management position in the pupil transportation industry? 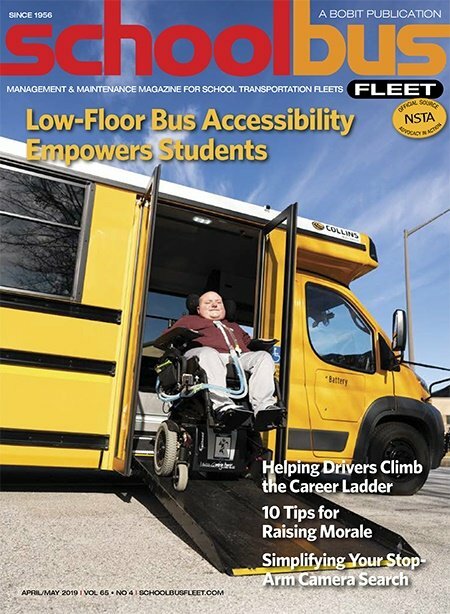 Request a free subscription to School Bus Fleet Magazine today! Have you moved? Do we have your address wrong? Make any necessary changes today! Our audit bureau requires us to verify contact information every year. Don’t miss a single issue! Complete a renewal form once a year to ensure uninterrupted service.